This white paper addresses issues with Kaplan turbine runner blade trunnion sealing and how to achieve improved reliability and environmental compliance. 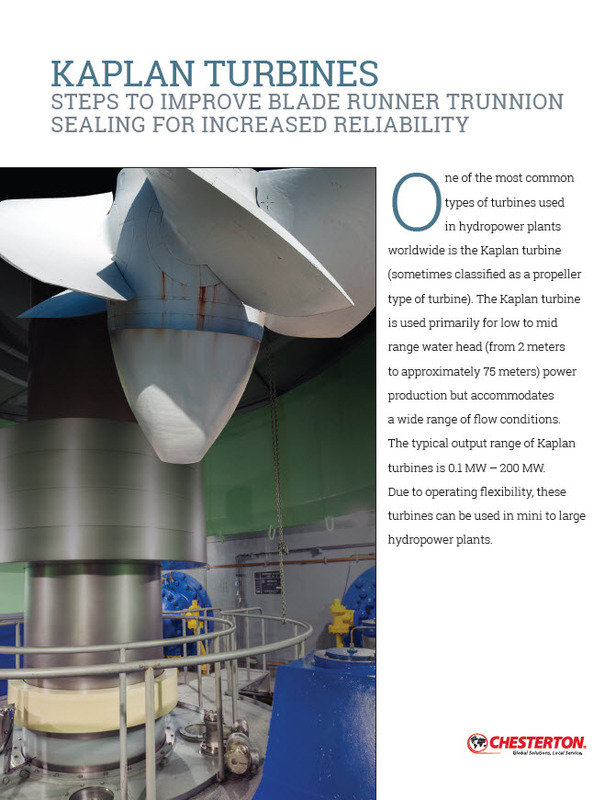 A survey among Kaplan owners found that failing or inefficient runner blade trunnion sealing accounted for 60% of turbine leakage. This paper includes a checklist for selecting the best seal.